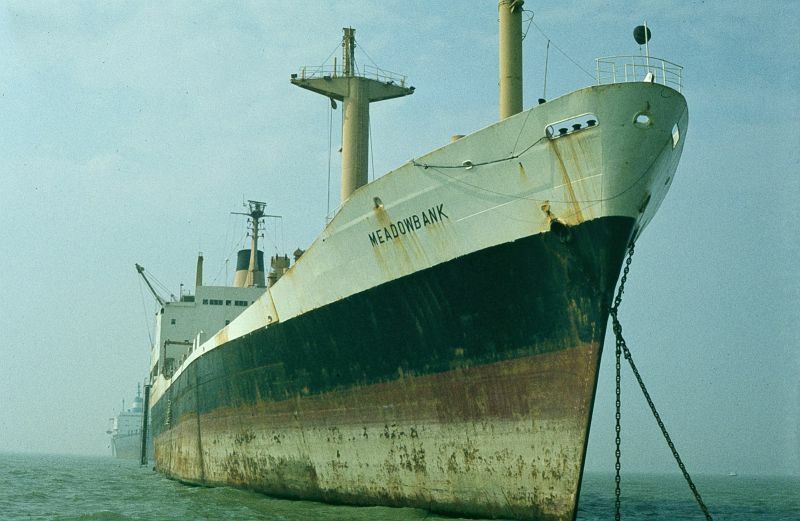 Career: MEADOWBANK was placed at outer end of anchorage as master concerned about swinging room due number of ships upriver rather than due to other reasons (note from Ian Clarke). Sailed October 1982 for Hamburg [ Mistral 1983 ]. 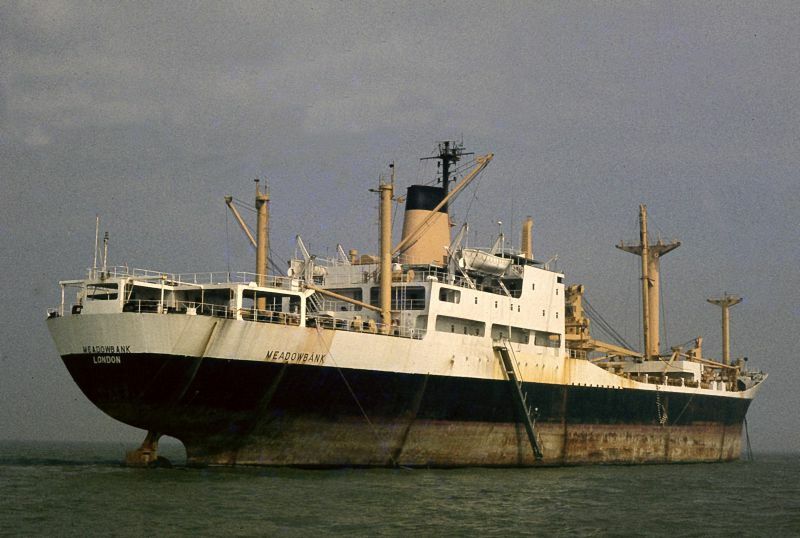 Renamed: TONANA NIUGINI-1986, MEADOWBANK-1987, PRO ATLANTICA-1988. Broken up in 2000. Owner: Andrew Weir & Co. Ltd., London. Above: MEADOWBANK laid up in the River Blackwater. Date: 5 September 1982.